Take one tent. Fill with 12 amateur bakers. Garnish with one venerable cookery writer, one blue-eyed bread-maker, and two comedy queens with a love of innuendo, and you have the recipe for the most popular show of our times. When The Great British Bake Off made its debut in August 2010, it had the makings of a modest hit. But nobody—not the program-makers and certainly not those first contestants—could have predicted what was to come. Here was a show in which the biggest weekly drama was whether or not a sponge cake would sink in the middle. And oh, how we loved it. Here is the ultimate Bake Off fan book: from bread lion to bin-gate; heart throbs to Twitter trolls; soggy bottoms to sticky buns. 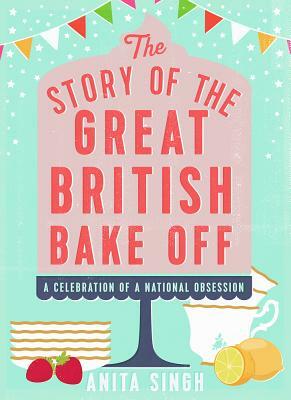 This is the celebration of Britain's most popular cookery contest. Anita Singh is the show business editor at the Telegraph.